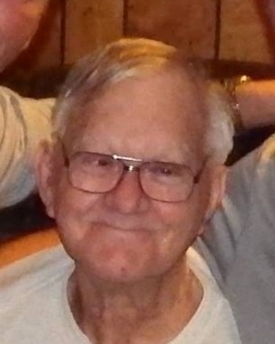 Finley Gale Lane, 71, of Duncan passed away peacefully Thursday, September 13, 2018 at his home surrounded by his loving family. A graveside service will be held on Monday, September 17 at 1:30 PM at New Velma Cemetery with Mike Kaiser officiating. The family will receive friends at the funeral home on Sunday, September 16 from 5:00 PM to 7:00 PM at the funeral home. Funeral arrangements are under the direction of Don Grantham Funeral Home. Finley Gale Lane was born on October 18, 1946 in Marlow, Oklahoma to Finley Leon Lane and Billie Jean (Foster) Lane. He graduated from Comanche High School in 1964. On April 2, 1966, he married Linda Kay Biffle at Velma Assembly of God in Velma, Oklahoma. To this marriage, they were blessed with two boys Randy Gale Lane and Michael Finley Lane. Finley worked as a carpenter. On April 9, 1993, a new girl entered his life. She was one of the biggest lights of his life. A great granddaughter Amber Leanne Lane. From the time he held her, when she was a few hours old she diffidently changed his life. She would join her brother Brandon and sister Brandie in his life. Survivors are his wife; Linda Kay Lane of the home; his sons and their spouses, Randy and Cindy Lane of Valley View, Texas and Michael and Tina Lane of Duncan, Oklahoma; his sister and her spouse, Deanna and Phillip Newman of Claud, Oklahoma; his two brothers and their spouses, Rick and Florita Lane of Velma, Oklahoma, Larry and Linda Lane of Miami, Oklahoma; his mother Billie Allen of Duncan, Oklahoma; his half-brother, Cotton Lane of Comanche, Oklahoma and his half-sister, Bette Sparks of Duncan, Oklahoma; eight grandchildren and fourteen grandchildren and numerous friends and other family members. Finley is preceded in death by his father Leon Lane, and his two sisters, Patsy Sue Prickett and Leona Hines.